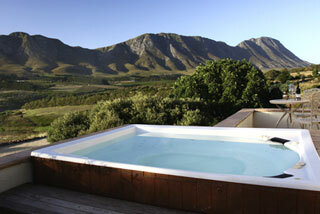 Hemel-en-Aarde means heaven and earth - and the valley is aptly named. Having bought the vineyard Holly and Simon were keen that others should be able to share with them the beauty of the estate, and they transformed a former farm cottage into a gorgeous, secluded, five-room Lodge. 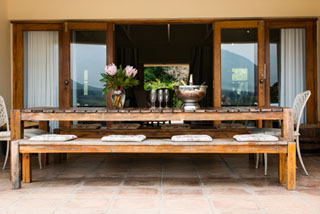 Most visitors stop for a delicious wine-tasting platter, paired with a glass of Sumaridge fine wine, in the cellar’s elegant tasting room, before driving through lovingly-tended vineyards down to the Lodge. 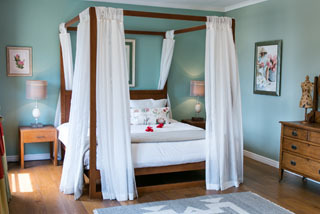 The main Lodge has four en-suite bedrooms, all with brushed-oak flooring and four poster beds; each is gently themed to an indigenous flower. The very spacious rooms also boast private patios or balconies. 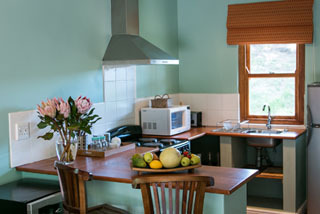 There is also a separate wheel chair friendly suite with its own kitchenette. The house is very child friendly. The décor has a contemporary feel with just a touch of Africa. Holly said “the beautiful landscape is reminiscent of the west coast of Scotland or Ireland, Simon and I wanted to evoke a sense of being in Africa”. 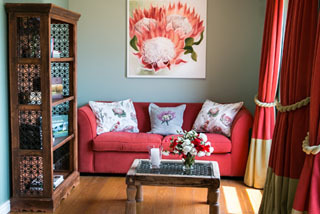 The whole property boasts a collection of original artworks, all sourced from local artists and the galleries of Hermanus. 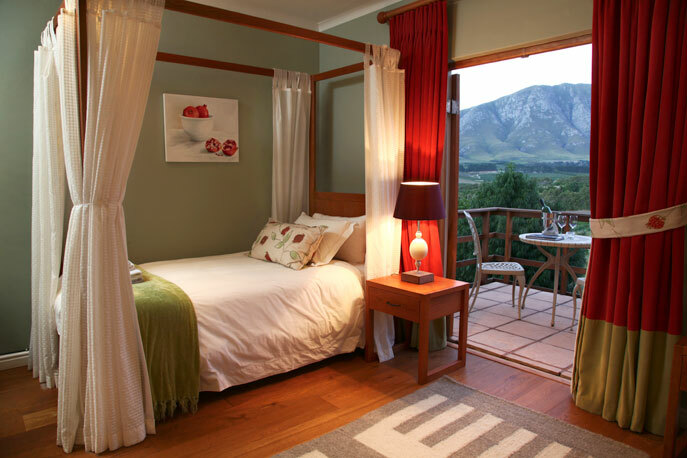 There is much to do without even leaving the estate, with hiking through the fynbos, mountain biking, fishing and bird watching - the estate boasts several breeding pairs of blue crane - the national bird of South Africa. 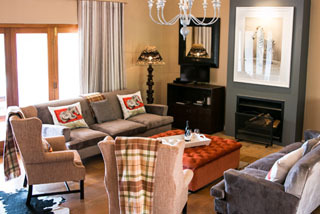 Booking your stay at the Lodge at Sumaridge Estate. The Lodge is usually only made available on the basis of sole occupancy of the entire property for seven nights or longer. However, we do agree to shorter periods when the Lodge is booked in conjunction with organising a private function on the estate. We are sorry, but we no longer take bookings for only one or two rooms, or bookings for less than seven nights more than 30 days in advance. But please do contact us for details of availability and applicable rates. Around the Lodge there are many varied works of art. The majority, are by various very talented and internationally renowned artists. Most of the artists live locally and most pieces been sourced from galleries in Hermanus.